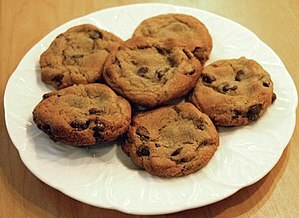 Some cookies to welcome you! Hi Valentina Cardoso! Thanks for contributing to Wikipedia. Be our guest at the Teahouse! The Teahouse is a friendly space where new editors can ask questions about contributing to Wikipedia and get help from experienced editors like ChamithN (talk). Hello, Valentina Cardoso. Voting in the 2016 Arbitration Committee elections is open from Monday, 00:00, 21 November through Sunday, 23:59, 4 December to all unblocked users who have registered an account before Wednesday, 00:00, 28 October 2016 and have made at least 150 mainspace edits before Sunday, 00:00, 1 November 2016. Your recent editing history shows that you are currently engaged in an edit war. To resolve the content dispute, please do not revert or change the edits of others when you are reverted. Instead of reverting, please use the talk page to work toward making a version that represents consensus among editors. The best practice at this stage is to discuss, not edit-war. See BRD for how this is done. If discussions reach an impasse, you can then post a request for help at a relevant noticeboard or seek dispute resolution. In some cases, you may wish to request temporary page protection. Hello, Valentina Cardoso. Voting in the 2017 Arbitration Committee elections is now open until 23.59 on Sunday, 10 December. All users who registered an account before Saturday, 28 October 2017, made at least 150 mainspace edits before Wednesday, 1 November 2017 and are not currently blocked are eligible to vote. Users with alternate accounts may only vote once. Hello, Valentina Cardoso. Voting in the 2018 Arbitration Committee elections is now open until 23.59 on Sunday, 3 December. All users who registered an account before Sunday, 28 October 2018, made at least 150 mainspace edits before Thursday, 1 November 2018 and are not currently blocked are eligible to vote. Users with alternate accounts may only vote once. Return to the user page of "Valentina Cardoso".